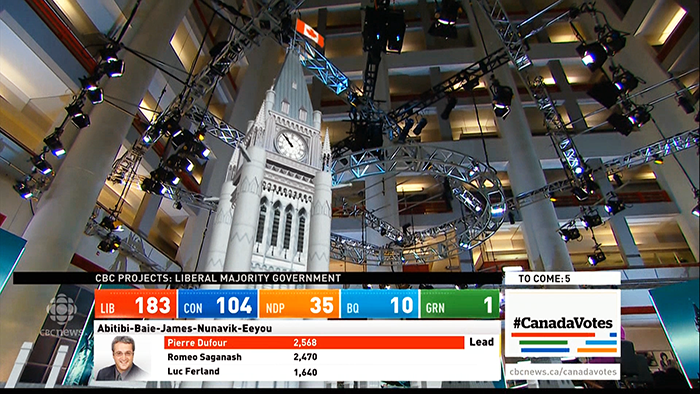 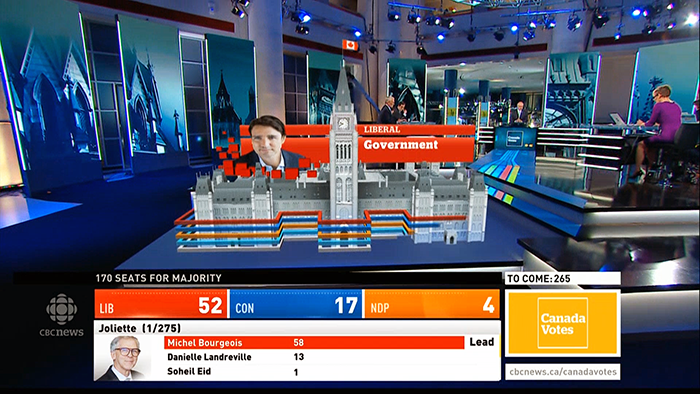 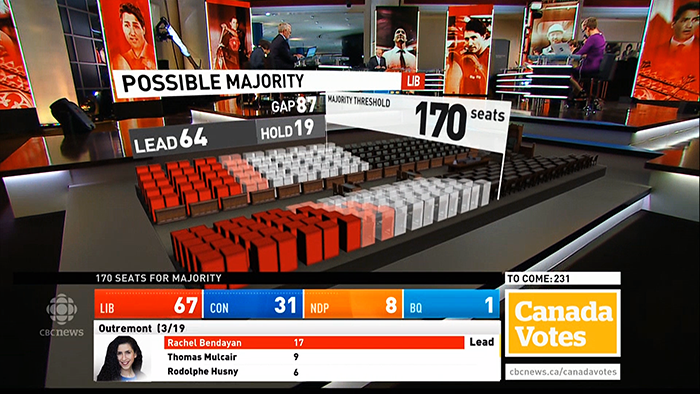 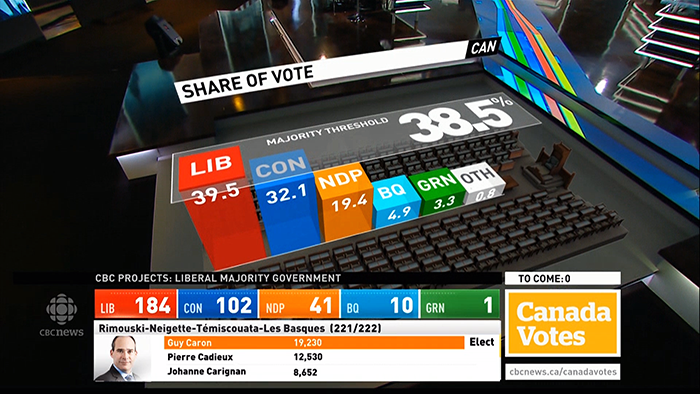 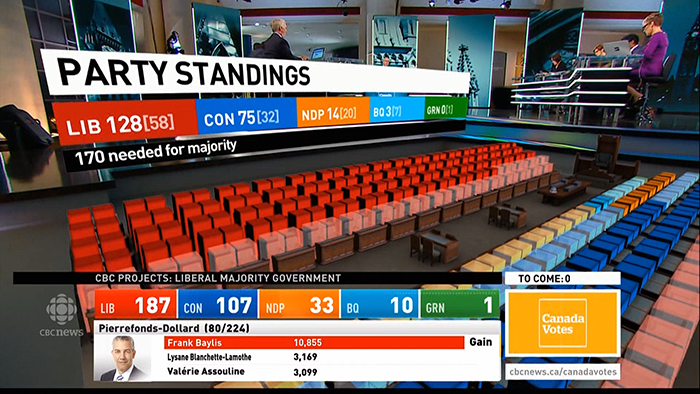 Astucemedia provided CBC with Live Augmented Reality Graphics using Vizrt, Maestro, and camera tracking by StypeGRIP, for the 2015 Canadian Federal Elections. 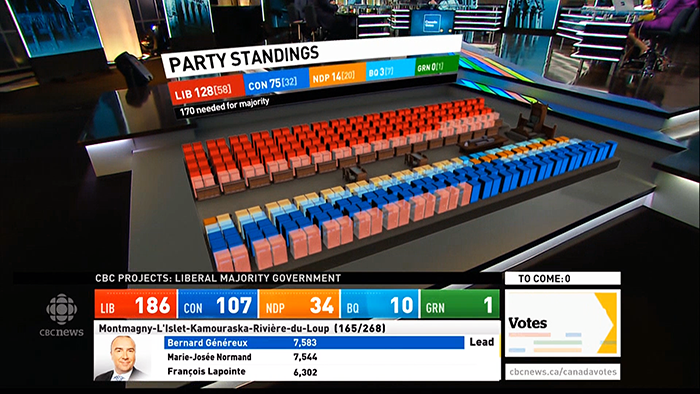 Astucemedia provided scene design and integration for vizrt scenes including possible majority, party standings, seat changes, and projections. 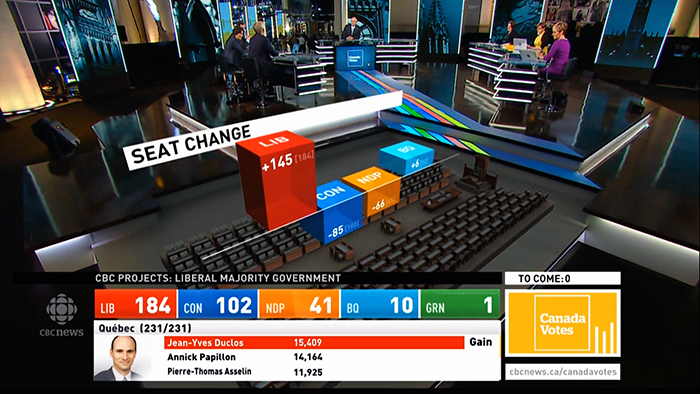 Astucemedia also provided CBC with onsite election support.